IMG Academy’s soccer academy continually builds out student-athletes who thrive both academically and athletically. Our soccer academy addresses all tactical and technical aspects of the game and develops student-athletes who are quick, strong, skilled and confident, while being fully prepared to compete in college and beyond from day one. Accolades range from propelling soccer academy student-athletes to professional leagues to encouraging athletes of any background and skill-set to work towards the college soccer recruitment process. Our soccer school alumni vary from the 2017 and 2018 class salutatorians to athletes currently competing in the MLS and internationally. Through total athletic development programming intertwined with soccer-specific training, each athlete endures a unique process best fit to align with reaching their peak potential. Our coaches competed at the highest levels and focus on speed of play and proactive thinking. They’re accustomed to the soccer recruitment process and encouraging participation in the college showcase tournaments as well as the national and international tournament circuit. With over 10 months of soccer training as opposed to just one unique season, IMG Academy soccer program's student athletes prepare themselves for the team aspect, the development of relationships with teammates and coaches, and the prioritizing of sports along with academics. Our cutting-edge training in Performance elements improve strength, agility, endurance, nutrition, confidence, mental toughness and overall health. 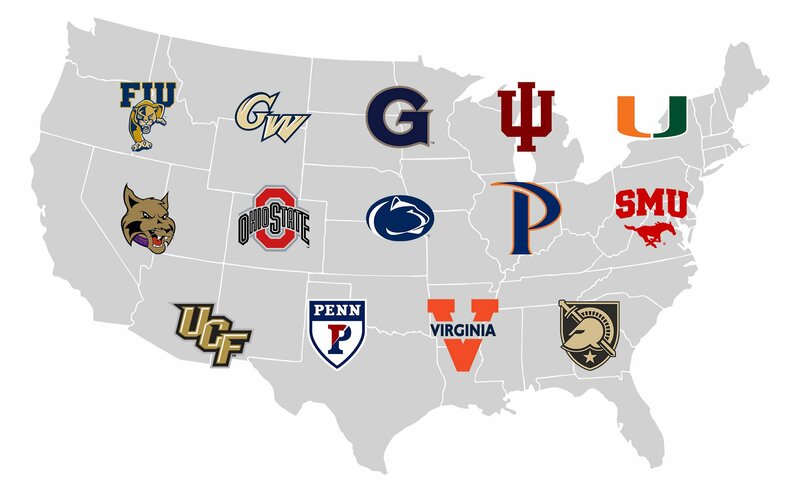 Through a take on soccer unlike any other program world-wide, our student athletes are introduced to the highest level of club-like competition and tournament play while still engaging in extensive opportunities in the classroom and socially. As a boarding school with a club- team format, our soccer academy structure combines the best of both ideals – train with coaches creating an individually-tailored path to success for optimal effectiveness. The IMG Academy soccer academy in Florida composes teams from U12 through U19 and post-graduate/PDL. The program also offers full participation at all age groups in the U.S. Soccer Development Academy. The first week of season includes trials and a starting point for players to compete. Players have the ability to transition to other teams when given the opportunity and for further development. The soccer academy works directly with the Performance Center and APD staff to ensure that student-athletes not only receive the best training on the field, but that they also have the mindset, strength and ability to reach their potential. A soccer-specific strength coach builds out programs geared towards conditioning elite players while our vision and mental toughness team focuses sessions on items like peripheral vision, recognition, and awareness. Not only do courses align with sport, but they also target individuals from a well-rounded aspect. Building men of character remains a stand-out course that focuses on respecting oneself and others, being an authority in society, and even eliminating distractions. TimTam is the official recovery sponsor of IMG Academy, and student-athletes have access to tools that take their game to the next level. TimTam’s products were developed to provide student-athletes with effective training and fast recovery. If I wasn’t at IMG getting help from the soccer side and coaches, as well as the college counselors, I wouldn’t be here right now… This is like my home now. I’ve been here for 5 years, doing my everyday routine at a different place is going to feel a little weird at first just because it’s not IMG, but it’s definitely exciting. I’m going to miss my brothers, for sure. And, it’s not only the players that I had on my team, but it was almost every single guy at the Academy… Even though I’m here for myself, we’re all helping each other succeed, so it’s a special thing. It gives you more drive – way more drive, to try to be better than the person you’re walking next to at school.